It’s time to pop the champagne! 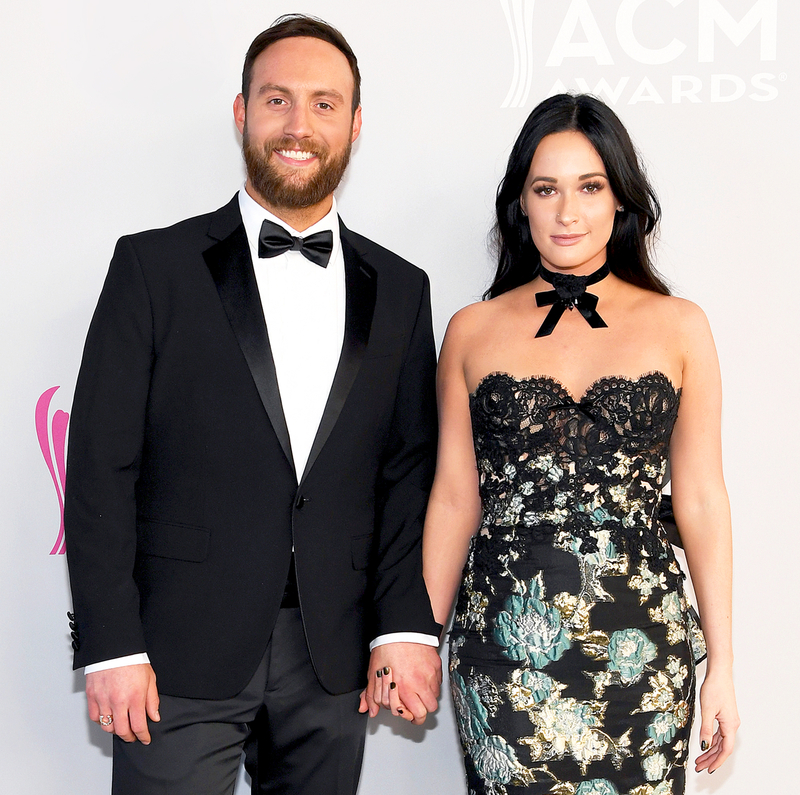 Kacey Musgraves and her fiancé, Ruston Kelly, tied the knot in a romantic wedding ceremony on Saturday, October 14, Us Weekly can confirm. The pair announced their impending nuptials via Instagram on Christmas Day. Shortly after, the “Merry Go ‘Round” songstress shared a video clip of herself showing off her new bauble and provided followers with details of their engagement. “We had just been at my parents’ house randomly having a night of watching bittersweet old home tapes of all these beautiful family memories that were made in this little, old country house I grew up in that I now have,” the brunette beauty captioned the clip. “We came back to that house afterwards and he had somehow pulled off having my sister + brother in-law completely decorate my childhood bedroom in the most nostalgic and perfect Christmas decorations. We had just been at my parent's house randomly having a night of watching bittersweet old home tapes of all these beautiful family memories that were made in this little, old country house I grew up in that I now have. We came back to that house afterwards and he had somehow pulled off having my sister + brother in-law sneak off and completely decorate my childhood bedroom in the most nostalgic and perfect Christmas decorations. I was bewildered and confused when I saw it all and turned around and the song "Two For The Road" by Henry Mancini started playing (this song is so emotional and sweet..it's one of my favorites..you have to go listen) and he was on his knee with a baby pink velvet ring box and the sparkliest thing I've ever seen! 💖Then my sister busted in and captured it all with her camera. It was so beyond special. Of all the places in the world I've gotten to see, nowhere could mean more than this happening in tiny Golden, Texas in the house that completely made me who I am. Since sharing their happy news, the pair have not been shy about showing off their love on Instagram. In February, the Texas native posted a black-and-white pic of her love holding hands while horseback riding. “Horsin’ around ? cuties,” she wrote of the moment. And in April, the pair smiled ear-to-ear as they posed for an Instagram pic at the ACM Awards. “?Goin’ home with the best award,” Musgraves said of her love. 🏆Goin' home with the best award. And just days before the couple exchanged vows, Musgraves shared an adorable flashback pic of herself as a child wearing a wedding dress. “Wedding dress sneak peak ?? #tbt,” the star jokingly captioned the photo. While it’s unclear when the duo first started dating, fans began to speculate the pair were romantically linked when Kelly began to make frequent appearances on Musgraves’ social media accounts in early 2016.